Quality 3M dispensers for quick and easy application of strapping tape. This deluxe plastic dispenser cuts and buffs tape with one-hand motion. 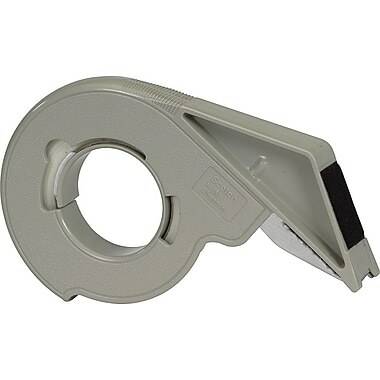 Features a hand brake that allows tension for tight, secure reinforcing and bundling applications. Designed to easily apply L-clip and C-clip closures.